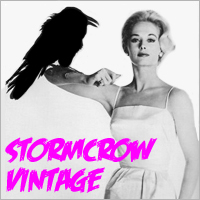 Our pals over at stormcrow-vintage have slashed prices on over 200 items in their store. The 15% sale began on the 13th and lasts for 13 days. Scary. If you’re looking for a little horror imagery in your vintage t-shirt arsenal then look no further. Stormcrow has a killer selection from the usual suspects: Slayer, Megadeth, The Cramps, Misfits, Overkill, Destruction, etc. And of course no slashing is complete until Freddy Krueger and Michael Myers make a cameo.